A few weeks ago there was a brief patch of extremely warm weather. During this period, local photographer John Sutton caught this excellent photo of an adder enjoying the sunshine at the Pond! 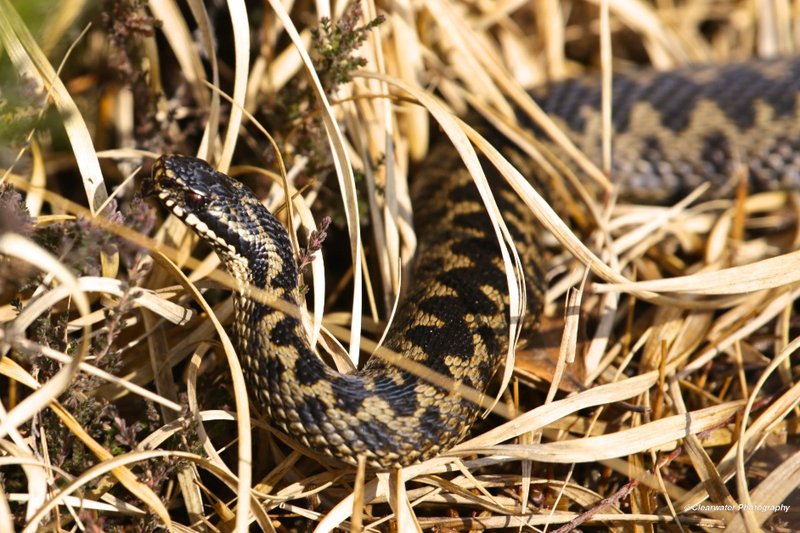 “Adders can be found all over mainland UK, but not Ireland, and are Scotland’s only native snake, demonstrating that they are the most capable snake in the world at surviving harsh conditions. The snakes do this by hibernating between October and Spring, coming out into the open at different times each year depending on the weather conditions. This entry was posted on Saturday, April 16th, 2016 at 10:28 am and is filed under Photography, Plants and Animals. You can follow any responses to this entry through the RSS 2.0 feed. You can leave a response, or trackback from your own site.